“Suspended coffee” is a concept that is catching on across the European Union. The term refers to when one customer pays for two cups of coffee – one for him/her and one for someone less fortunate who might come through the cafe later in the day. It’s doing a good deed for someone you don’t know, and it’s not a new concept. The tradition has been around in Naples for more than 100 years. Caffè sospeso, as it is know in Italian, was a tradition that marked the generosity of the Italians, but it waned in popularity during World War II and after the reconstruction. It got to the point where coffees were only shared during the Christmas season and not the rest of the year. But the past few years have seen an upsurge in the trend in Italy and other EU countries, and more and more people are taking part. There is even a movement to start suspended coffee at Starbucks, which just illustrates how much interest there is in such a program. 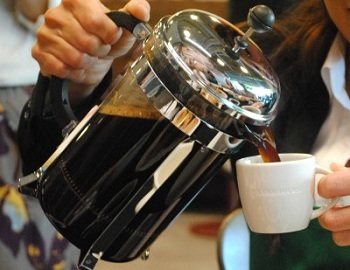 Time will tell if it does catch on at the coffee giant – and if we end up seeing it at US cafes. This does remind me of a social experiment that Jonathan Stark did some time back, where he loaded up a Starbucks card and put the code online, so people could use and recharge it at will. There were times when it was empty, but in the overall scheme of things there were just as many people who added to the crowd-funded card as those who used it to get drinks. Going global with the suspended coffee movement would test the system, but perhaps this small-scale experiment is a good illustration that things might work out in the long run.